Heavenly Father, thank you for your perfect and Holy love and for loving me with an unconditional and steadfast heart. 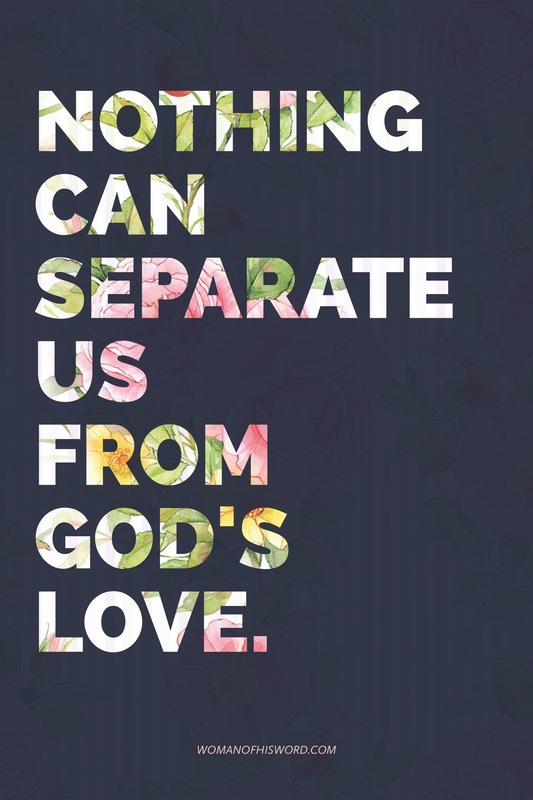 Your love is all consuming and omnipresent and no matter how far away I go, your love is still there. The depths of your love are boundless and just waiting to be discovered. Your love cannot be manufactured or duplicated; it is the purest and truest form and it’s available to anyone willing to accept it – how amazing is that. Please remind me in those moments when I feel distant or ashamed; in those moments when I feel less than or hidden from you; in those moments when the enemy places worry and fear in my heart – remind me that not one of these things can separate me from your love. Lord, I pray for those who feel separated from you and those who feel too ashamed to come to you. I pray you would whisper into their hearts and remind them how much you love them and how you have never left them. May they experience the fullness and joy of your love. Break open my heart Lord, let me discover a new depth to your infinite love and help me to love like you love. In Jesus’ name I pray, amen.